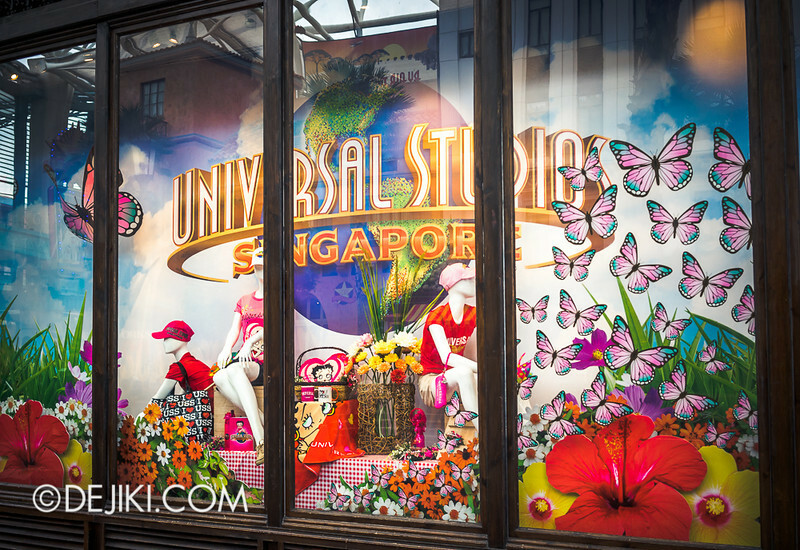 Check out the newest changes at the park and discover Universal Studios Singapore’s upcoming festive event! From 18 April till 13 May 2014, the park will hold its first Easter-themed programme. Easter Egg Island will arrive at the park and be filled with activities (egg painting and the lot). The Easter Bunny (apparently also a drummer) will be the star of the event. Park guests will be able to enjoy the festivities during their visit at the park (no additional charges apply). 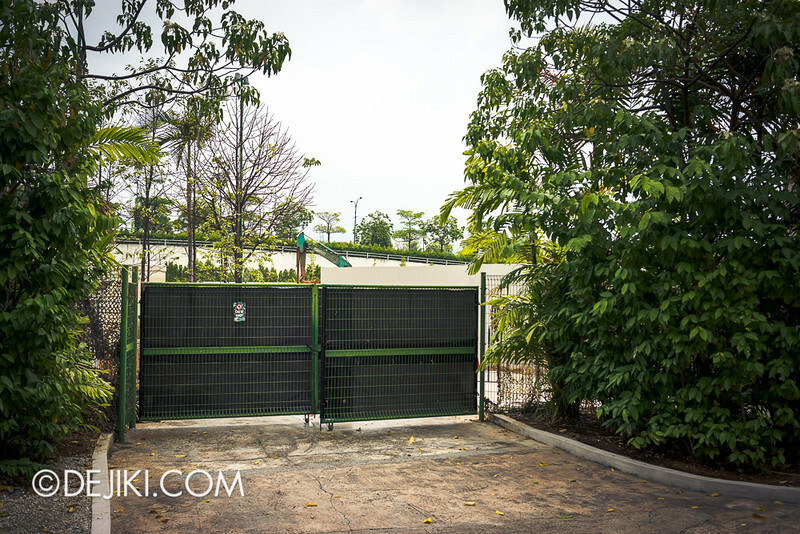 Guests must also have valid admission passes (One Day Pass) to the park. The second half of March is one of the park’s busiest periods all year. It’s a week of school holidays in Singapore, followed by another week in Malaysia. USS is full of kids! 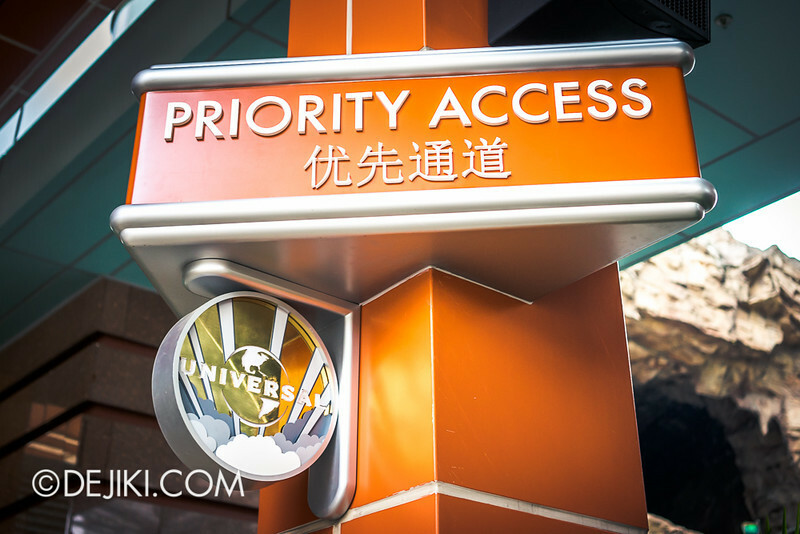 The park added this Priority Access sign at the left-most section of the entrance. There’s still one “VIP” turnstile and one “Express” turnstile. 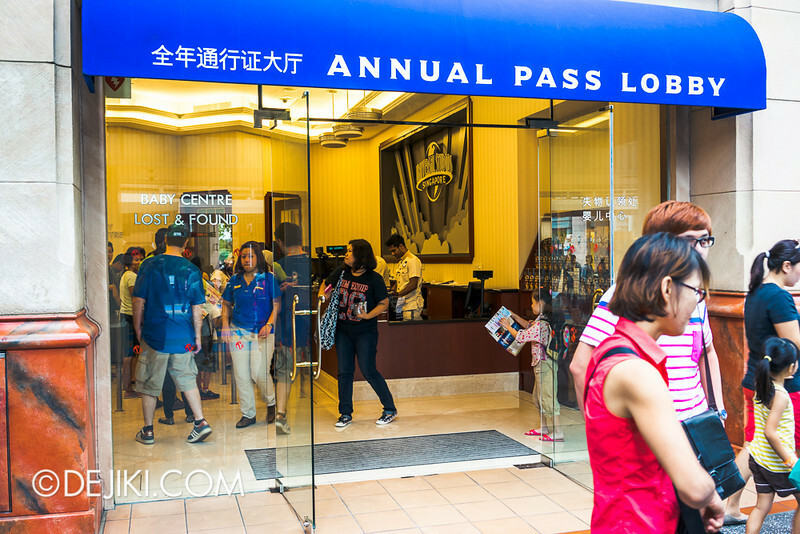 With very low prices for Annual and Season (6-month) passes, expect long queues at the Annual Pass lobby in the morning. 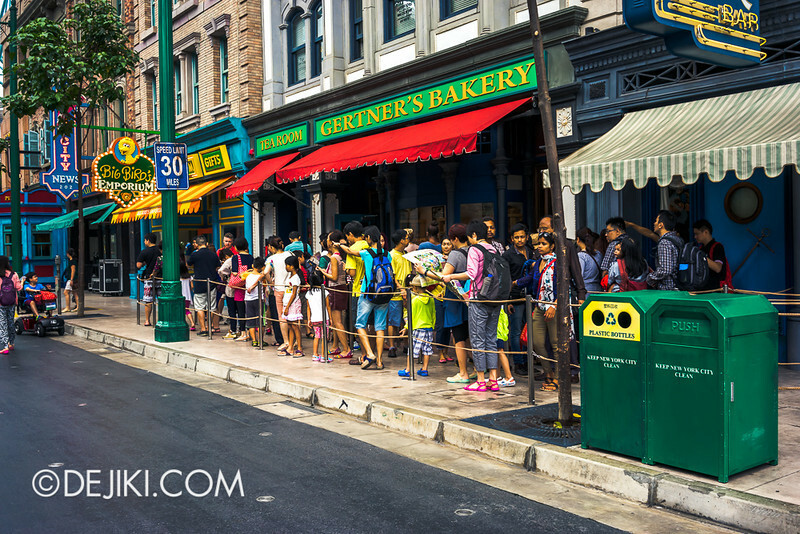 If you intend to get an Annual Pass, you might want to visit the lobby later in the day to avoid queues. The construction at Star Characters that was mentioned in the last park update? Turns out it’s not a new window, but another entrance. 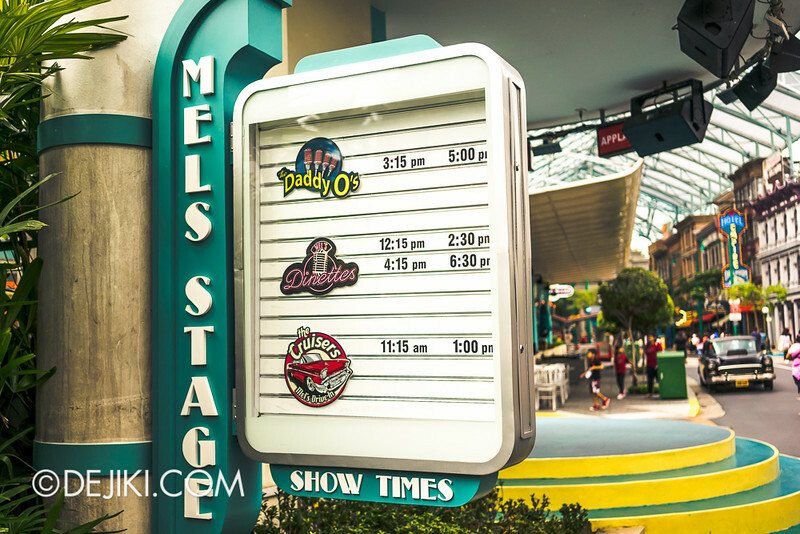 Mel’s Stage finally has a board displaying show times of performances. Long queues for Spaghetti Space Chase early in the morning. 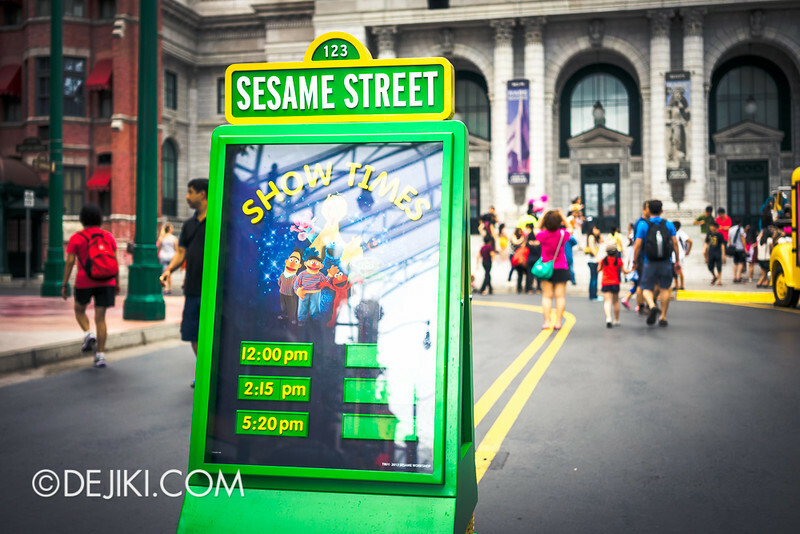 Sesame Street now has a Show Times board too. 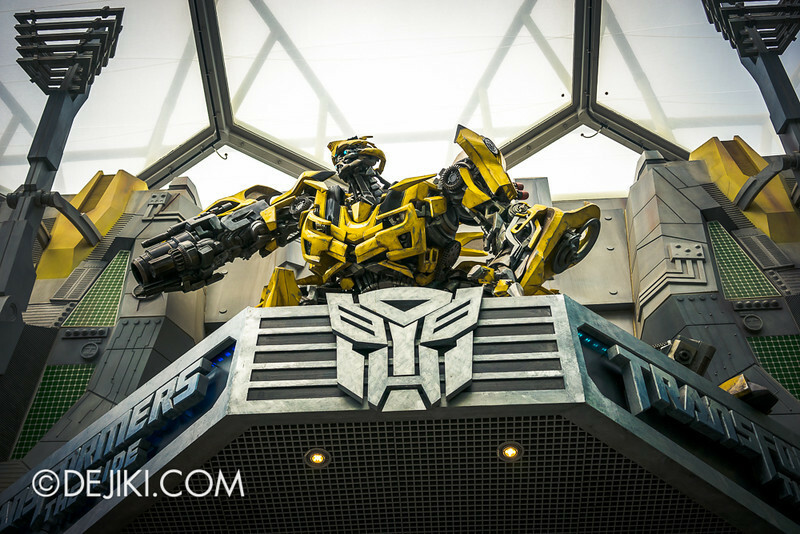 I’m hoping that the park upgrades the 3D projection technology at Transformers: The Ride soon, to match the same visual quality in Hollywood and Florida. After going on Star Tours (which uses Dolby3D/Infitec type of technology), 3D using polarized glasses just don’t cut it anymore. LATEST: Screamscape now reports that USS will not be building the Despicable Me Minion Mayhem attraction. This project is getting even more mysterious. Some park crew mentioned a Star Trek themed ride? Really? What about World War Z? Others said it will be an extension of Far Far Away, with an attraction based on “Puss in Boots”. 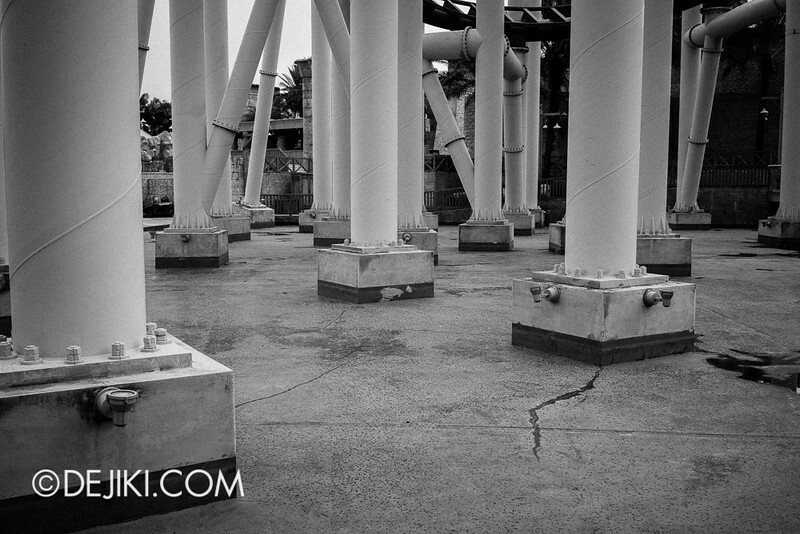 Construction for Universal Studios Singapore’s Despicable Me: Minion Mayhem (or another attraction) is still ongoing. The land is still being prepared (mostly flat now) so it’ll be a few more months before we see anything being really built up. Strangely, the Royal Decree is gone. Is the park changing their plans again? Have they finally decided to build a Wizarding World? Sadly not. Not sure if it’s caused by sudden outbursts of heavy rain, but it is now possible to see the base of the park’s lagoon at some places. Lots of park maps, and possibly lost items. Battlestar Galactica, in a few words: Still closed, with no confirmed plans for reopening (or removal). I’m now getting news from a few people that the park will modify several parts of the tracks instead of dismantling everything. Since that will require significant re-engineering, manufacture of new parts, track replacement and re-certification, etc.. we should only expect for the ride to reopen a long, long time later. 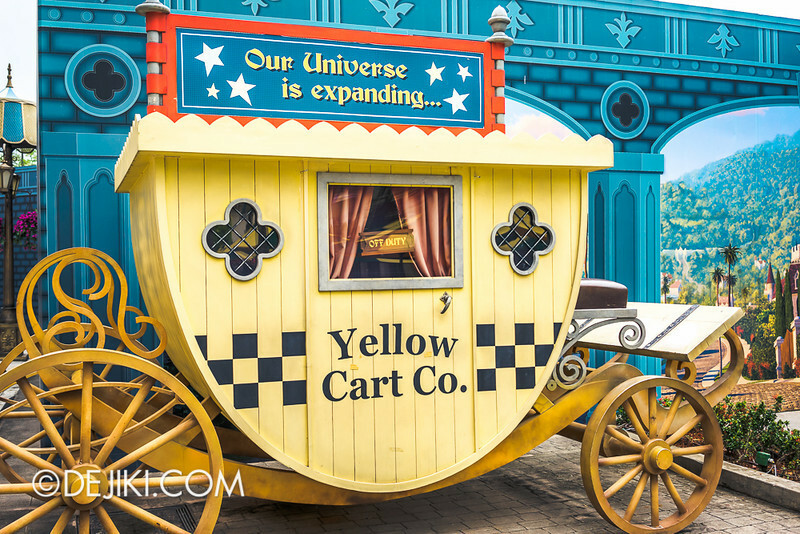 Maybe for the park’s 5th Anniversary Celebrations in 2016. Edit: Local news sites, including MyPaper SG and Yahoo, now report that Battlestar Galactica will be overhauled and themed to some other movie. While the article does give some hope to the roller coasters’ future, there are some inconsistencies and contradictory information in these stories. The closure is certainly not planned, and I’m sure that “visitors cannot relate to the current theme” is definitely not the real reason why the ride has closed. 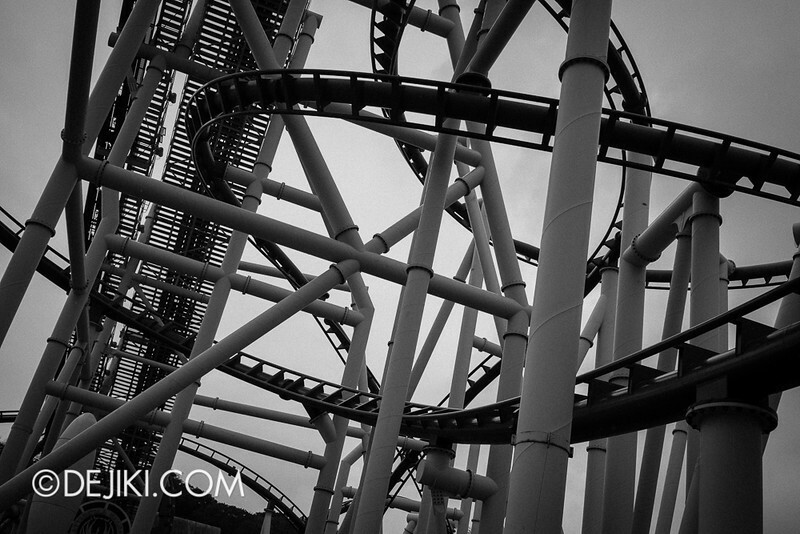 Let’s keep the excitement to the rollercoasters itself. The water pool where the tracks stand on has been emptied. Until the rain came. I really miss going on Battlestar Galactica when it rains. 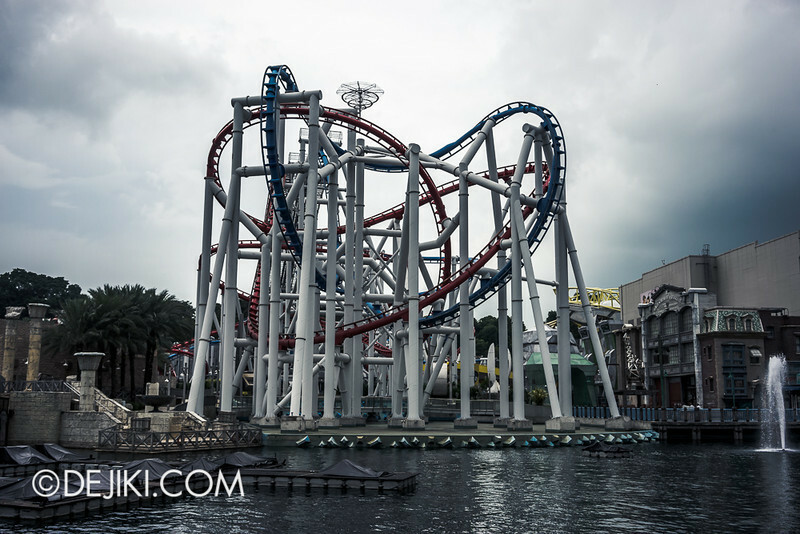 The speed of the rollercoasters is significantly boosted in rainy conditions – making it far more intense that normal. 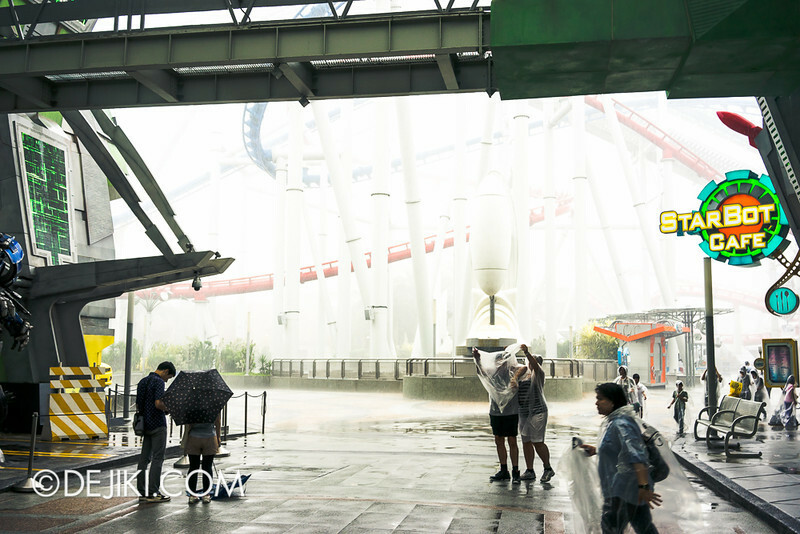 While on-ride, the rain feel like some pulsing water jet massage. Those people who have been on the ride in that scenario will know what I’m talking about. 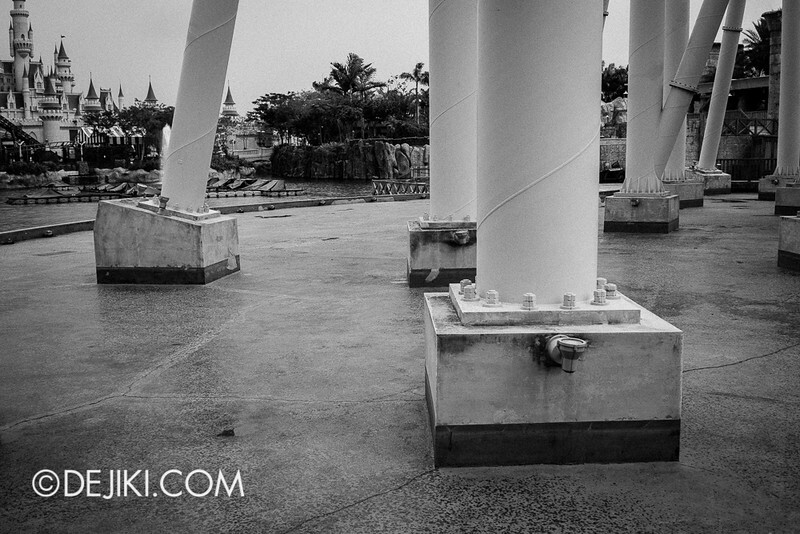 Now that rainy season is back, do remember to bring your own ponchos and umbrellas to the park. 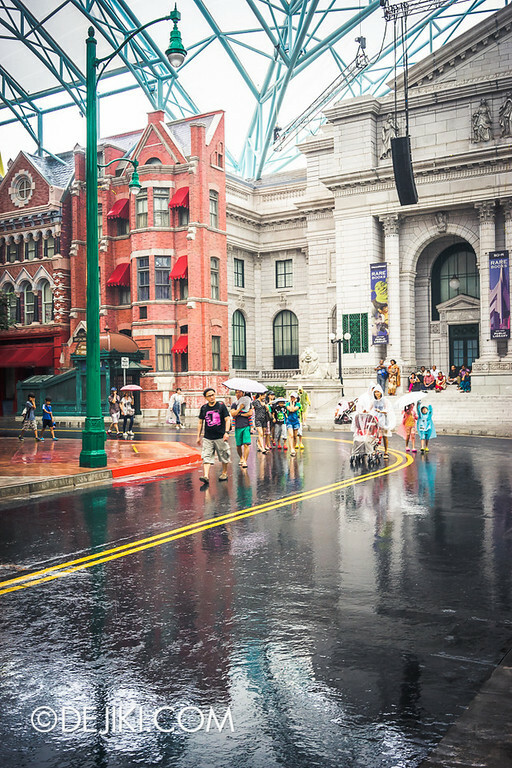 Only certain areas of the park is covered, so stay around Sci-Fi City (Transformers section), New York and Hollywood. 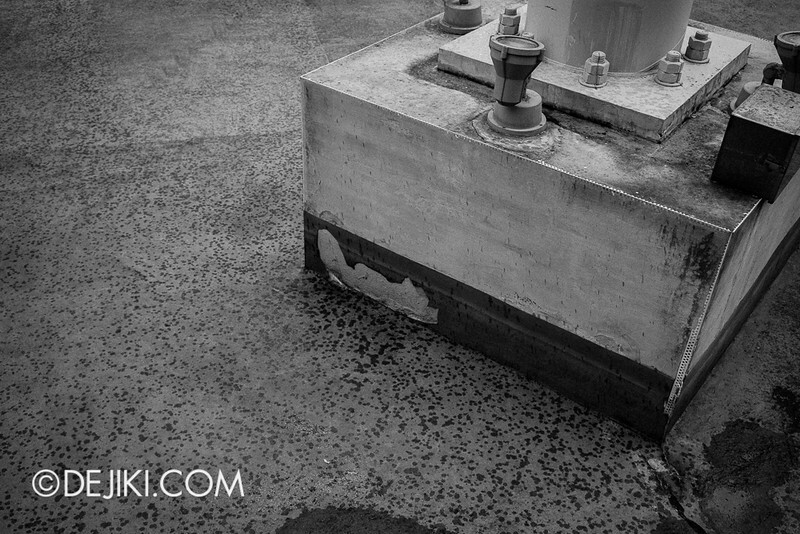 The shelter at the New York Library isn’t effective during a storm, so rain may leak into the area. 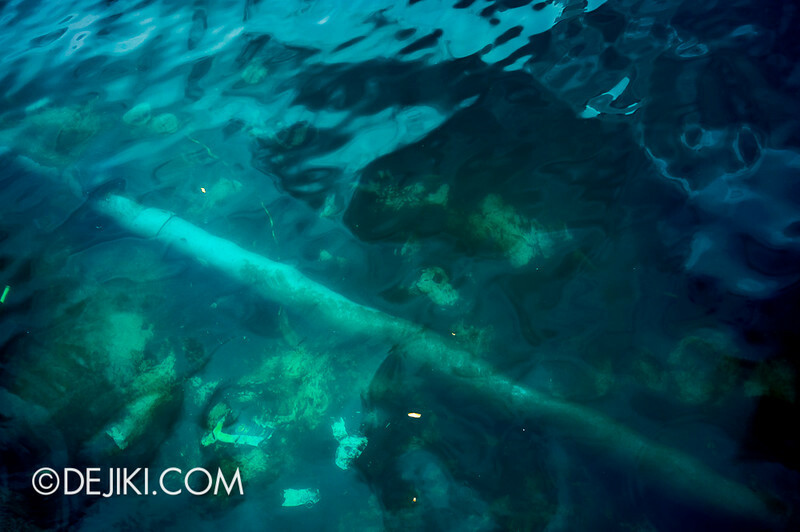 Stay tuned for next month’s park update! I should be returning to cover the Easter-themed programmes. May I know if you are planning to do a report on Bubblegum Pop from last year? Also, will the Easter Bunny be a meet and greet character in any of the park’s zones? I also noticed Shrek’s swamp being cordoned off? Is there anything happening there? I was wondering if the Easter Bunny would be a meet and greet character during the Easter period? Also, is there anything going on at Shrek’s Swamp? 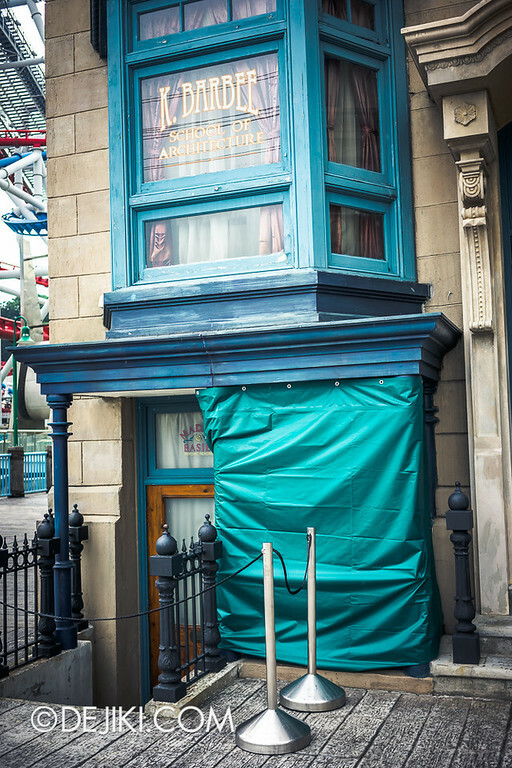 When I visited about a week ago, I saw that it had been cordoned off, with the entrance to Shrek’s home being blocked by a potted plant. Yes, the Easter Bunny will be a Meet and Greet character. I’m not sure about Shrek’s – there could be repair or refurbishment work being done to the structure. Although the park has not announced anything (or even confirmed Minion Mayhem), the area under development is supposed to be for a Despicable Me themed area. 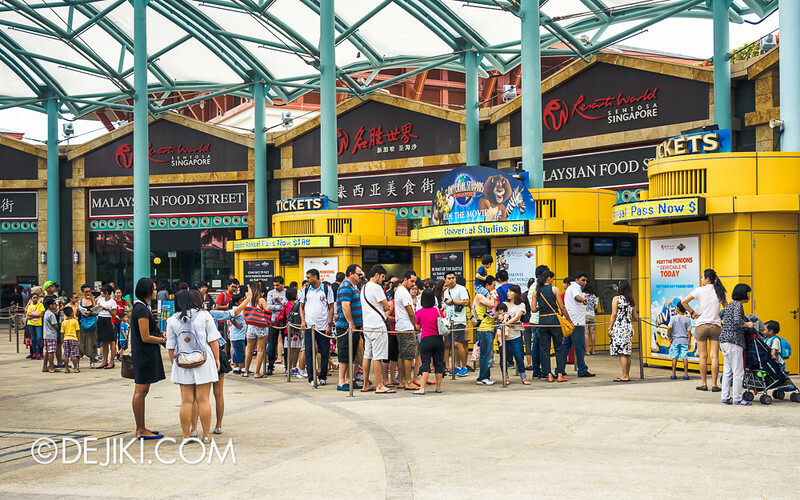 Will Singapore’s Minion Mayhem be on the scale of Hollywood’s or Orlando’s? 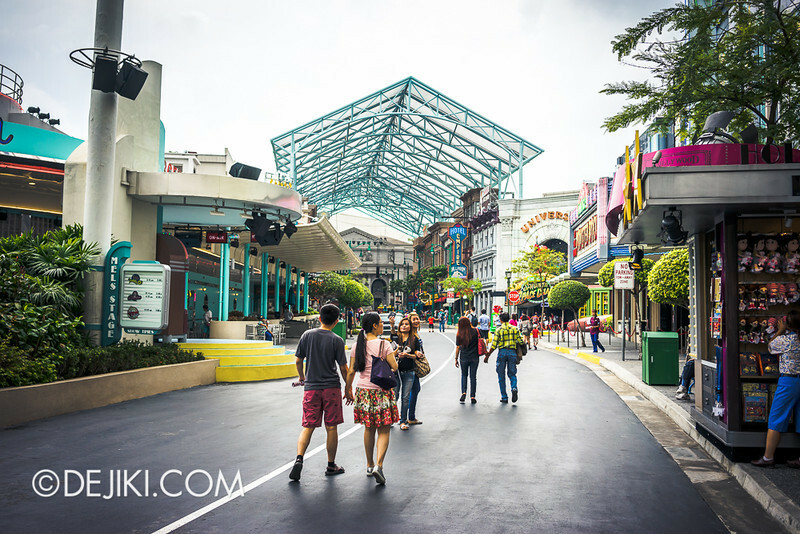 Given the limited space left at the park, there isn’t space for a large Despicable Me zone in Singapore. 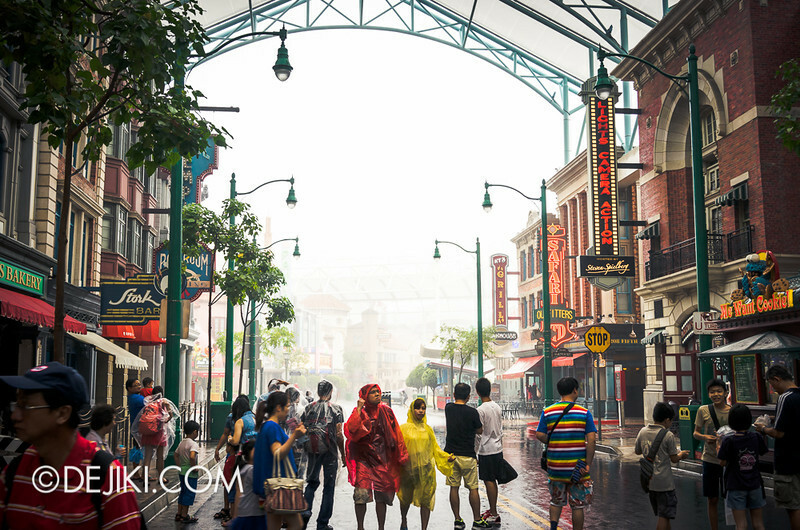 It’s likely to be similar to Orlando’s version, with a themed area around the attraction. 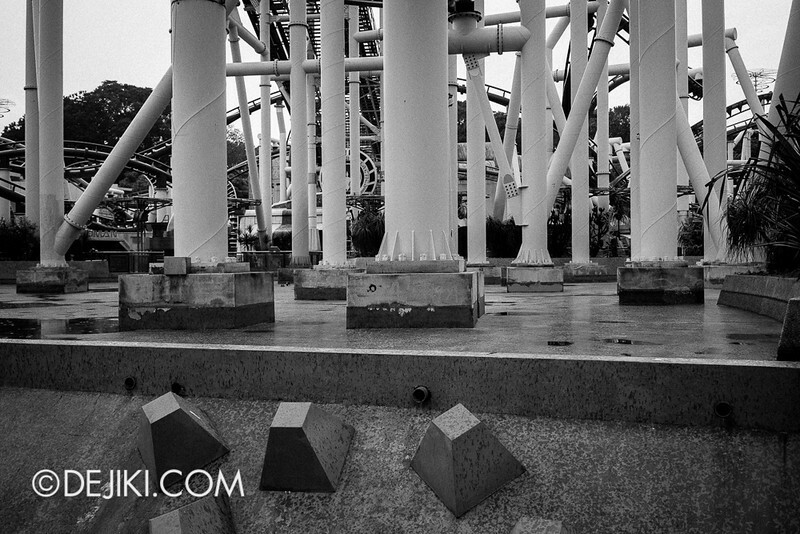 hopefully, there will be another thrilling roller coaster in the park, in case BSG won’t be operated anymore.. Unfortunately there is not enough space for another major attraction, unless the park removes some zones that don’t perform well (Madagascar and Far Far Away). USS will definitely benefit from a new rollercoaster, or even better: a Wizarding World. yah you right.. or just wondering that they will bring The Incredible Hulk Roller Coaster like the one in US somehow.. hahaha..
anyway Dejiki, just wondering also, why you don’t make a post/review about Six Flag Theme Parks? heard there’s a lot of roller coasters in a single park.. amazing huh? 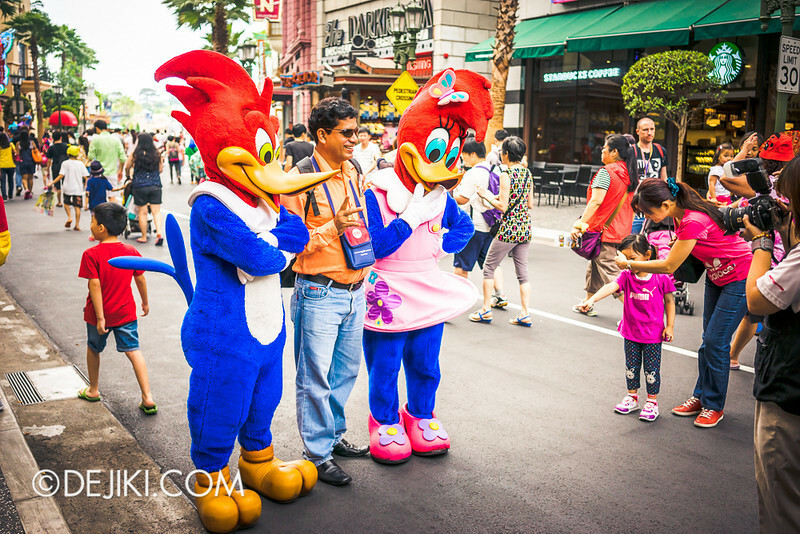 Hi Dejiki, do you know if the current mascots in the theme park will be dressed up in Easter theme outfits? Or the Easter bunny the only new addition for the meet and greet sessions? Thanks ! At the moment, only the Easter Bunny is confirmed as a new addition. A highly reliable source which you can quote me on – USS is going to build a new a war-themed attraction at the now-vacant lot. It’s going to include an indoor coaster. What are the recent movies with this theme? Go figure. It’s been a few weeks since my last visit. Looking forward to a return trip on Saturday. Not much as happened since. Not according to what I see anyway. I guess the highlight will be Easter Bunny. Otherwise, everything is same ‘ol as usual. But spending the day at USS is always a pleasure. It’s always a great experience with so much fun and happy smiles in the park. Magical place. This might be of interest – regarding the battlestar closure. I was just wondering what the difference is between the Easter Egg Island and Easter Weekend events at USS. Can I still use my annual pass if I go on the 18th of March but do not participate in activities like the egg hunt? Easter Egg Island is a seasonal event that will take place from 18 April to 13 May. 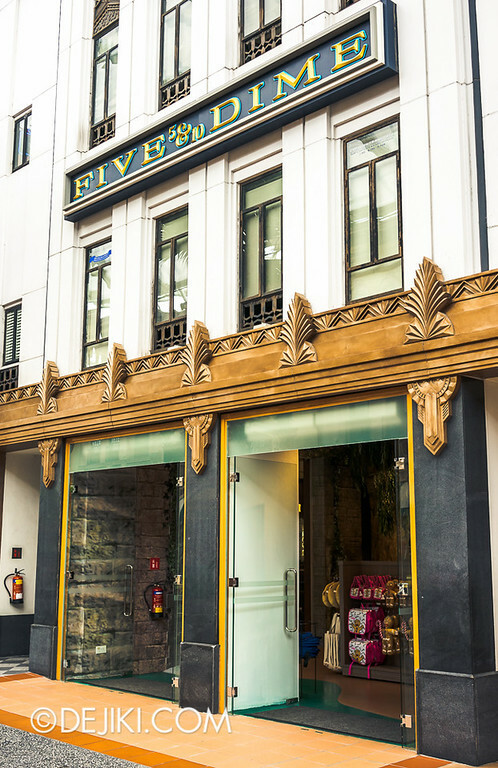 It includes decorations at Hollywood and New York, as well as a street performance and meet-and-greet characters. All park guests, include Annual Passholders, will be able to enjoy this seasonal event. Easter Weekend Special is a special event that will be held over the Easter Weekend (18-20 April) from 8AM to 10:30AM. It includes a park-wide Egg Hunt, Egg Painting and Breakfast at the Park. More details will be revealed in an upcoming Easter Egg Island Special blog update!